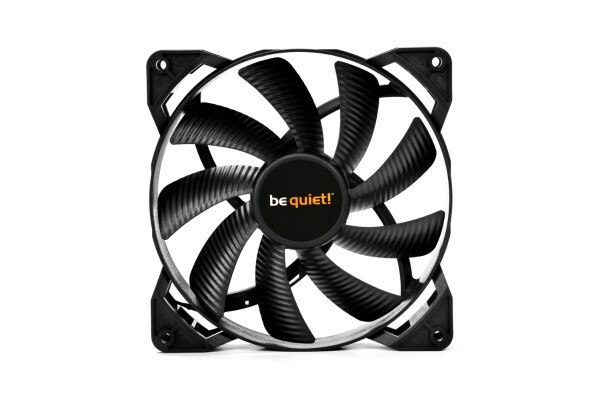 The Pure Wings 2 140mm high-speed fan offers excellent be quiet! Cooling in the entry-level class. The extremely high air pressure makes it the perfect choice for any system. Pure Wings 2 high-speed fans offer the highest level of reliability and excellent cooling with a nearly nunbeatable price-performance ratio. The fan blade surfaces are optimized to increase airflow and air pressure while reducing noise-causing turbulence. The recipe for effective cooling of Pure Wings 2 fans. The Pure Wings 2 140mm high-speed fan is at maximum capacity only at 36.3dB (A). The Pure Wings 2 140mm high-speed fan stands for a particularly reliable operation and promises a very long life of up to 80,000 hours.